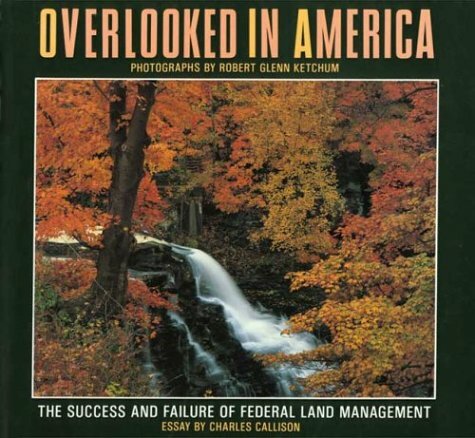 "In 56 dramatic color photographs of Cuyahoga Valley National Recreation Area and in an insightful text, Overlooked in America warns of a potential ecological disaster: the careless devastation of America's federally-held lands. The Cuyahoga is merely one example of the imperiled beauty of federal lands. A full one-third of all U.S. land--including parks, beaches, forests, offshore oil deposits, and mountains--is owned and managed by the federal government, whose stewardship is intended to renew and maintain this vast natural treasure. Due to the negligence of the Washington power structure in enforcing the mandate for sustainable development of these lands, our national trust is at risk of environmental deterioration through overgrazing, loss of topsoil, deforestation, and contamination of soil and water. Overlooked in America makes a strong case for drastic changes in federal land management before our irreplaceable legacy is lost forever. Published to coincide with a traveling exhibition of the photographs." --the publisher.